In a soil and plant survey, and in field and greenhouse experiments the nutritional status of wheat plants was evaluated for Zn, Fe, Mn and Cu in Central Anatolia, a semi-arid region and the major wheat growing area of Turkey. All 76 soils sampled in Central Anatolia were highly alkaline with an average pH of 7. 9. More than 90% of soils contained less than 0.5 mg kg-1 DTPA-extractable Zn, which is widely considered to be the critical deficiency concentration of Zn for plants grown on calcareous soils. About 25% of soils contained less than 2.5 mg kg-1 DTPA-extractable Fe which is considered to be the critical deficiency concentration of Fe for plants. The concentrations of DTPA-extractable Mn and Cu were in the sufficiency range. Also the Zn concentrations in leaves were very low. More than 80% of the 136 leaf samples contained less than 10 mg Zn kg−1. By contrast, concentrations of Fe, Mn and Cu in leaves were in the sufficient range. In the field experiments at six locations, application of 23 kg Zn ha-1 increased grain yield in all locations. Relative increases in grain yield resulting from Zn application ranged between 5% to 554% with a mean of 43%. Significant increases in grain yield (more than 31%) as a result of Zn application were found for the locations where soils contained less than 0.15 mg kg-1 DTPA-extractable Zn. In pot experirnents with two bread (Triticum aestivum, cvs. Gerek-79 and Kirac-66) and two durum wheats (Triticum durum, cvs. Kiziltan-91 and Kunduru-1149), an application of 10 mg Zn kg-1 soil enhanced shoot dry matter production by about 3.5-fold in soils containing 0.11 mg kg-1 and 0.15 mg kg-1 DTPA-extractable Zn. Results from both field observations and greenhouse experiments showed that durum wheats were more susceptible to Zn deficiency than the bread wheats. On Zn deficient soils, durum wheats as compared to bread wheats developed deficiency symptoms in shoots earlier and to a greater extent, and had lower Zn concentration in shoot tissue and lower Zn content per shoot than the bread wheats. 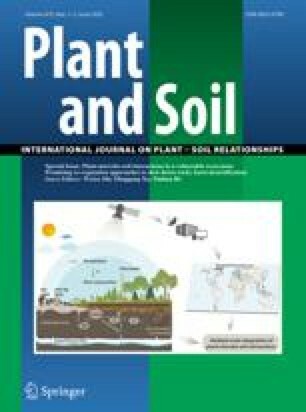 The results presented in this paper demonstrate that (i) Zn deficiency is a critical nutritional problem in Central Anatolia substantially limiting wheat production, (ii) durum wheats possess higher sensitivity to Zn deficient conditions than bread wheats, and (iii) wheat plants grown in calcareous soils containing less than 0.2 mg kg-1 DTPA-extractable Zn significantly respond to soil Zn applications. The results also indicate that low levels of Zn in soils and plant materials (i.e. grains) could be a major contributing factor for widespread occurrence of Zn deficiency in children in Turkey, whose diets are dominated by cereal-based foods.